Thanks to JohnnyMnemonic. I borrowed a good portion of his page and changed what I needed to for the Caldari version. Recommended ships: (1) Ishtar w/ Passive Tank and (1) Osprey w/ Shield Transporters. Possible to solo in an Ishtar but only if you arrive early and start sniping the frigates etc as they spawn. 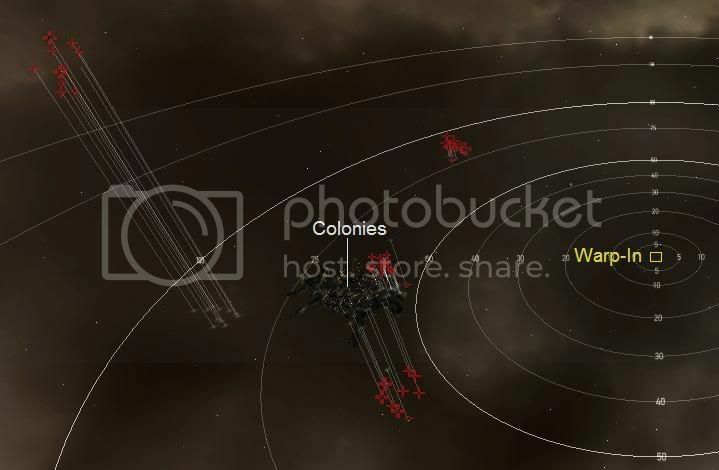 Note: Attacking the Caldari Energy Vampie does not cause this spawn. For the Timed Spawns WATCH OUT if you have drones or logistics in the area. The spawns will more than like target them first. I killed both of the Micro-Colonies and I've yet to get a flag. Do you have to kill the bs that spawn as you're killing the colonies?